Suntec REIT’s 3Q/9M DPU of 2.491/7.398 Scts were within our expectations at 25%/74% of our FY18F forecast. We expect office revenue to benefit from the rental upcycle, while improving retail offerings should drive up Suntec Mall’s traffic and sales. 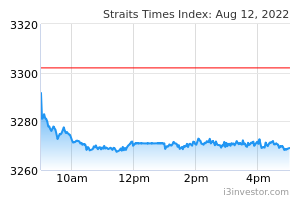 Maintain ADD with slightly lower Target Price of S$2.06. 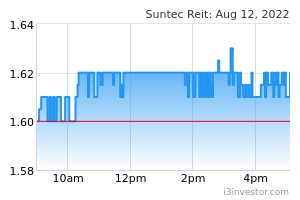 Suntec REIT reported an 11.4% y-o-y decline in 3Q net property income to S$56.4m on a 2.5% y-o-y lower revenue due to higher sinking fund contributions for Suntec Office upgrading works. However, 3Q distributable income rose 1% y-o-y to S$66.5m (DPU: 2.491 Scts) thanks largely to a capital top-up of S$10m. For 9MFY18, DPU came in at 7.398 Scts, accounting for 74% of our FY18F forecast. 3Q18 office revenue fell on lower income from Suntec office and 177 Pacific Highway, (weaker A$) due to transitory downtime for replacement leases and the weaker A$. The trust signed 268k sqft of leases in 3Q. Portfolio occupancy was 98.9% at end-3Q18. Suntec office achieved a slightly higher average rent of S$9.05psf with more bite-sized demand coming from TMT, shipping, energy and natural resources sectors. Suntec REIT has a remaining 2.1% and 10.9% of office leases to be re-contracted in FY18 and FY19, enabling them to ride on the current office rental upcycle. To further enhance Suntec office, upgrading works of its lobbies and washrooms are scheduled to start in 4Q18. Suntec REIT signed 73k sqft of retail leases in 3Q and achieved committed occupancy of 98.6% for its Singapore portfolio. Suntec Mall shopper traffic increased an all-in-one indoor activity park, will be opening its first Southeast Asian outlet in Nov 18 at Suntec Mall as well as Old Town White Coffee. Steel and structure works are in progress at level 9 of 9 Penang Rd, while slab works have reached level 16 at 477 Collins St. Pre-committed occupancy at the latter has increased to 65.8%, with an additional 16.2% of space with Heads of Agreement signed to-date. These properties are expected to add to Suntec REIT’s income stream when completed in 2019 and 2020, respectively. We leave our FY18-20F DPU estimates unchanged to S$2.06 to factor in a slightly higher cost of equity of 7.6%. We anticipate improved activities, while office revenue is likely to rise in tandem with the rental upcycle. The impact of rising interest rates is on fixed rates. Upside risk includes faster-than-projected rise in office and retail interest rate hike.